Over the past few months we have been stocking up on new czech glass items, metal beads, and ribbon. We have also started adding new classes to our list. 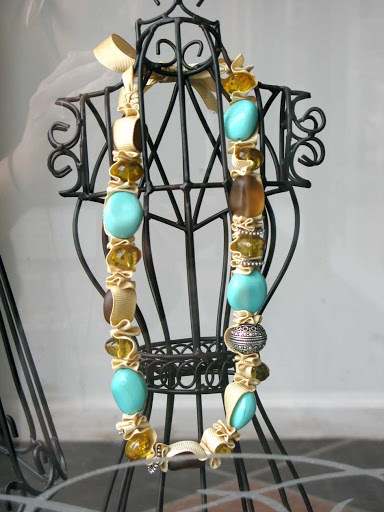 This necklace was created this week in our “Ribbon Necklace” class. 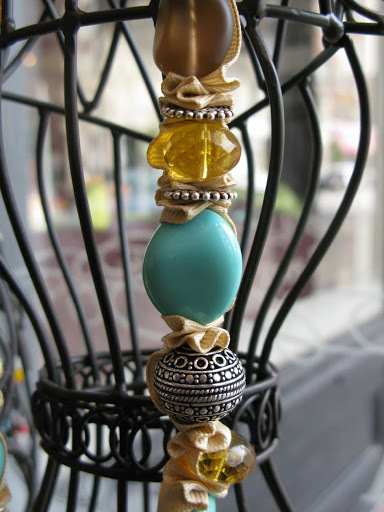 It has been put together with Czech glass nuggets, faceted rondelles, and silver coated copper beads and spacers.